- "LE TRIOMPHE DES LUMIERES - Pourquoi il faut défendre la Raison, la Science et l'Humanisme" (Enlightenment Now : The Case for Reason, Science, Humanism, and Progress) by Steven PINKER. Published in FRANCE by Les Arènes Editions. The Author is an Canadian-born American Psychologist who advocated Evolutionary Explanations for the Functions of the Brain and thus for Language and Behaviour. His Early Studies on the Linguistic Behaviour of Children led him to endorse Noted Linguist Noam Chomsky’s Assertion that Humans possess an Innate Facility for Understanding Language. Eventually Steven Pinker concluded that this Facility arose as an Evolutionary Adaptation. He expressed this Conclusion in his First Popular Book, "The Language Instinct : How the Mind Creates Language" (1994). The Sequel, "How the Mind Works" (1997), earned a Nomination for the Pulitzer Prize for General Nonfiction. In "Words and Rules : The Ingredients of Language" (1999) Steven Pinker offered an Analysis of the Cognitive Mechanisms that make Language Possible. Exhibiting a Lively Sense of Humour and a Talent for explaining Difficult Scientific Concepts Clearly, he argued that the Phenomenon of Language depended essentially on two Distinct Mental Processes : the memorization of Words and the Manipulation of them with Grammatical Rules. "The Blank Slate : The Modern Denial of Human Nature" (2002), was also a Pulitzer Prize Finalist. Steven Pinker later illustrated the Manner in which the Structure and Semantics of Language reflect the Human Perception of Reality in "The Stuff of Thought: Language As a Window into Human Nature" (2007). Drawing on a Range of Psychological and Historical Data, he contended that the Modern Era was the Most Peaceful in Human History in "The Better Angels of Our Nature : Why Violence Has Declined" (2011),... and he noted other Positive Developments of the early 21st Century in "Enlightenment Now : The Case for Reason, Science, Humanism, and Progress" (2018). The Enlightenment Project swims against Currents of Human Nature : Tribalism, Authoritarianism, Demonization, Magical Thinking ; which Demagogues are all too willing to exploit. Many Commentators, committed to Political, Religious, or Romantic Ideologies, fight a Rearguard Action against it. The Result is a Corrosive Fatalism and a Willingness to wreck the Precious Institutions of Liberal Democracy and Global Cooperation.... Is the World really falling apart ? Is the Ideal of Progress Obsolete ? In this Elegant Assessment of the Human Condition in the Third Millennium, Cognitive Scientist and Public Intellectual Steven Pinker urges us to step back from the Gory Headlines and Prophesies of Doom, which play to our Psychological Biases. - "ALGORITHMES - La Bombe à Retardement" (Weapons of Math Destruction - How Big Data Increases Inequality and Threatens Democracy). Preface in the French Book/Version (published by Les Arènes Editions) of Cédric Villani who is a French Mathematician and Politician working primarily on Partial Differential Equations, Riemannian Geometry and Mathematical Physics. He was awarded the "Fields Medal" in 2010 and he was the Director of Sorbonne University's Institut Henri Poincaré from 2009 to 2017. Cedric Villani was elected to the National Assembly, the Lower House of the French Parliament, during the 2017 Legislative Election. A member of "La République En Marche! ", he represents Essonne's 5th Constituency. and was elected Vice President of the French Parliamentary Office for the Evaluation of Scientific and Technological Choices in July 2017. 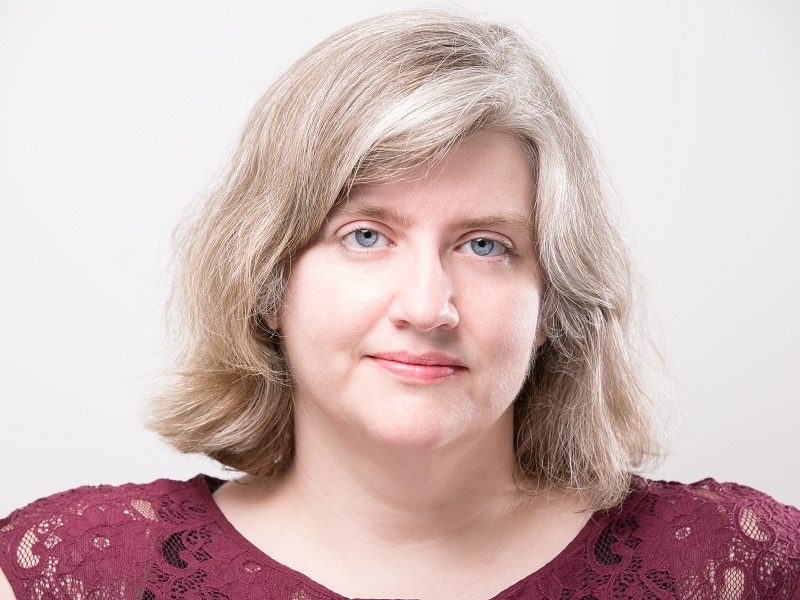 Cathy (Catherine) O'Neil is an American Mathematician and the Author of the Blog "mathbabe.org" and Several Books on Data Science, including "Weapons of Math Destruction - How Big Data Increases Inequality and Threatens Democracy" (2016). She was the Former Director of the Lede Program in Data Practices at Columbia University Graduate School of Journalism, Tow Center and was employed as Data Science Consultant at Johnson Research Labs. She lives in New York City and was active in the Occupy Movement. Her Previous Books were : "On Being a Data Skeptic" (2013), "Doing Data Science : Straight Talk from the Frontline" (2013). This Powerful Study, subtitled "How Big Data Increases Inequality and Threatens Democracy", exposes the Bias in Predictive Modelling. Cathy O’Neil’s Book came at just the Right Moment in 2016. It sounded the Alarm about Big Data just as it was becoming a Topic for Public Discussion. For example, she begins her Book with a Story about Sarah Wysocki, a Teacher who got fired from the D.C. Public School System because of how the Teacher Evaluation System ranked her Abilities. In the Ensuing Pages, Cathy O’Neil describes the Scoring System, how it was designed, and how it affected Sarah Wysocki. But the Broader Politics behind the Scoring System that ousted the Teacher are just as important... Her Main Point is that Predictive Models are Never Neutral but reflect the Goals and Ideology of those who create them. They also tend to load the Dice against Poor People, reinforcing Inequality in Society. From calculating University Rankings or Credit Ratings and processing Job Applications, to deciding what Advertising you see Online or what Stories appear in your Facebook News Feed, Algorithms play an Increasingly Important Role in our Lives. In Conclusion, If you’ve been denied Job after Job, even some of those Entry-Level, Low-Wage Positions, Cathy O’Neil can explain. If the Rates you’re finding for Auto Insurance are Sky High, Cathy O’Neil knows why. If your Amazing Teacher was just fired or your Employer has started charging Higher Health Insurance Premiums for not using a Fitbit or the Number of Cops in your Neighborhood is growing at a Rate Disproportionate to Actual Crime, allow Cathy O’Neil to introduce you to the Opaque, Self-Reinforcing World of Weapons of Math destruction (WMDs). If you’re confused about why People on the Other Side of the Political Debate as you think very strongly the Way they do, there’s at least one Concrete Reason and Cathy O’Neil knows it. If you think using Data Analyses and Mathematics removes Pesky Human Biases, Cathy O’Neil’s Conversational “Weapons of Math Destruction” will disabuse you of that Notion.